Carl Giammarese at Wisconsin State Fair, 8/7/11. Credit: Aaron S. Robertson. Frontman of Chicago-based 1960s hit-makers talks to Milwaukee-area journalist about advice to aspiring musicians, Haley Reinhart, Lauren Frost, treasured memories, performing for two presidential balls, and the Packers and Brewers, among other topics. Author’s note: The genesis of this interview goes back to August of this past year, when I shot photography and did a write-up for Muskego Patch of The Happy Together Tour’s performance at the Wisconsin State Fair. 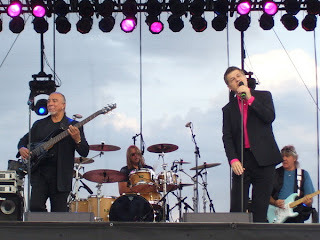 My photography and write-up caught the attention of The Buckinghams’ publicist, and we had some nice e-mail exchanges. A big fan of The Buckinghams and music in general, I decided to take a shot and reach out to lead singer Carl Giammarese a few weeks ago for an interview, to which he happily agreed. Please note that I intentionally sought to avoid asking the interviewee questions about the origins and history of The Buckinghams, as those questions have been answered by countless others before me over the course of more than four decades. He also has an autobiography coming out soon, which will cover a lot of those areas. For more of a historical background on The Buckinghams, see their Wikipedia entry. A brief history of the band and commentary by me leading up to this interview, along with video clips of both vintage and modern performances and interviews conducted by others can also be found at my blog. Before we begin, I’m really sorry to have to break this to all of you ladies who grew up on Buckinghams music and still have those girlhood crushes – Carl Giammarese is married – for many years now, and very happily. Speaking of sports, The Buckinghams are privileged to be offered the opportunity from time to time to perform the National Anthem at sporting events, largely around the Chicago area. Giammarese recalled that they’ve performed it for White Sox and Bulls games. “We performed it some years back at a Colts game, too. Various sports teams are always looking for national acts for it, and we’re really grateful for those opportunities,” Giammarese said, adding, “I’m emotionally moved every time I sing it. It means a lot.” A big Cubs fan, Giammarese said he’s hoping that team will call on The Buckinghams for the National Anthem one of these days. They’ve already performed “Take Me Out to the Ball Game” a few times during the seventh inning stretch. 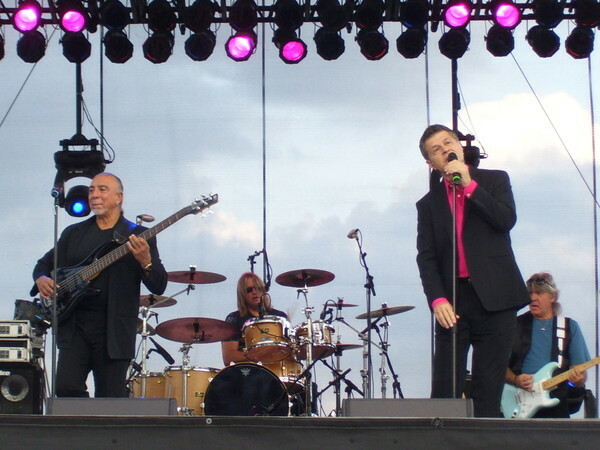 Giammarese, an original member of The Buckinghams, with memorable hits like “Kind of a Drag”, “Don’t You Care”, “Susan”, and “Hey Baby (They’re Playing Our Song)”, has been the band’s lead singer since 1983, when original front man Dennis Tufano decided to pursue a solo career. 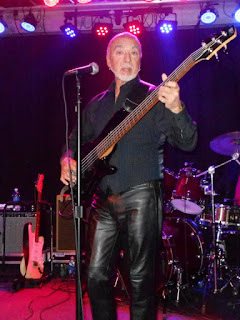 Giammarese was the guitarist in the original lineup, which lasted from 1966-70. Three of the five original Buckinghams (Giammarese, Tufano, and bassist Nick Fortuna) reunited in 1980, originally intended just for that year’s ChicagoFest. Keyboardist Marty Grebb was not interested in the reunion, and drummer John Poulos, who had battled drug and alcohol addiction, had passed away just five months prior. With fellow original Buckingham Nick Fortuna on bass (left). Giammarese took some time to reflect on Poulos, who passed away just shy of his 33rd birthday in March 1980. 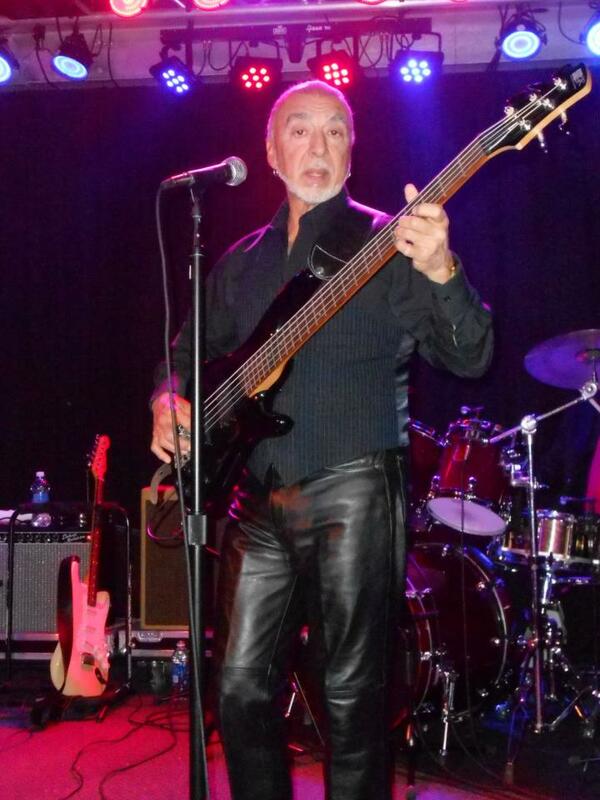 It was apparent during our conversation that the death of Poulos still leaves a void in the hearts of Giammarese and bassist Fortuna, the band’s other remaining original member. “We miss him so much. He was a great friend, like a brother, really, and always fun to be around,” Giammarese recalled. “John was really the instigator for getting the band back together. He really pushed for that. And sadly, drugs and alcohol had gotten the best of him, and he died five months before our reunion.” Giammarese wrote this very moving tribute to Poulos in his soon-to-be released autobiography. Asked if he ever imagined The Buckinghams would last as long as it has after that initial 1980 reunion, Giammarese replied, “That’s an easy question. A big fat NO,” with a hearty laugh. “I thought it would last maybe a couple, a few years, but the momentum just continued to grow from there.” He credited the original Happy Together Tour in 1985 as being a major help. When not on the road performing for one of upwards of 75-80 concerts per year, Giammarese enjoys his time working out a few times per week, going out to dinner, seeing movies, taking in a good game of tennis, and running his publishing company, Chiway Publishing. There’s always some sort of music project going on, and the business side of things keeps him busy, as well. Though most people may know Giammarese through his association with The Buckinghams, many may not know that he’s also a songwriter, as well, an aspect of the business he got into during the 1970s when he was one half of the duo Tufano & Giammarese. The duo produced three albums during the decade. 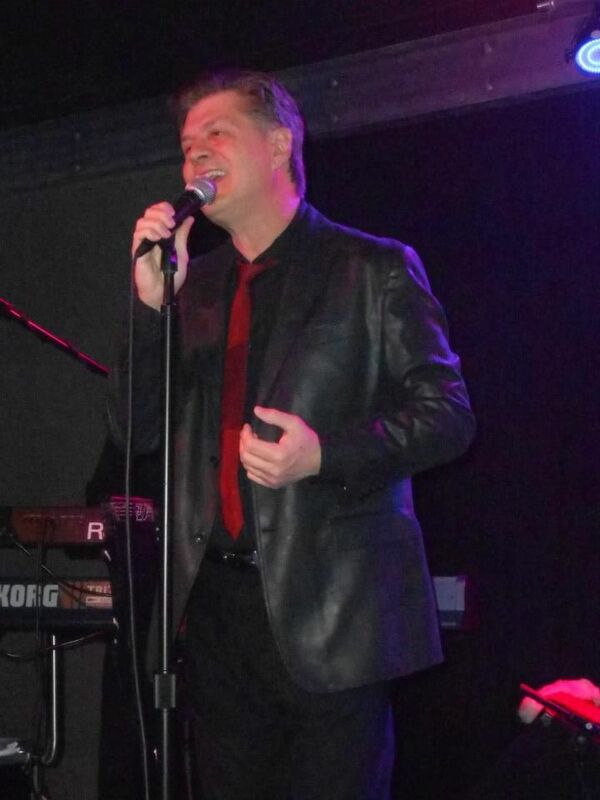 Giammarese continues to write frequently, and has recorded a number of solo works independent of The Buckinghams. Giammarese’s advice for aspiring musicians: stay focused and be prepared to sacrifice big time. “Things have certainly changed a bit since I started,” pointing out the advances in technology, new forms of media, and his observation that it appears as though many more people are trying to break into the business. “One thing that will never change though is that you really have to be willing to dedicate your life to it. You just can’t do it part-time. And be prepared for the possibility of sacrificing relationships.” Giammarese said he missed out on his high school prom, along with many birthdays and family functions over the years. “And you really have to be yourself. Find your own way and style, and hope there’s an audience that appreciates it.” He emphasized the importance of being one’s own self, warning that trying to imitate someone else may take one to the level of being a great cover, but that’s about it. “We were very fortunate to have the right look and style, the right management, and the right songs coming our way back in the 60s.” He said old-fashioned word-of-mouth is still the best way to get noticed for one’s efforts. I wanted to know if there are any acts on the Chicago music scene Giammarese is keeping his eye on as far as new, up-and-coming talent. “Admittedly, I’ve been out of the loop as far as the Chicago scene goes,” he said. But two young Illinois natives he sees great talent and a lot of future potential in and whom he’s been following from time to time are Haley Reinhart and Lauren Frost. 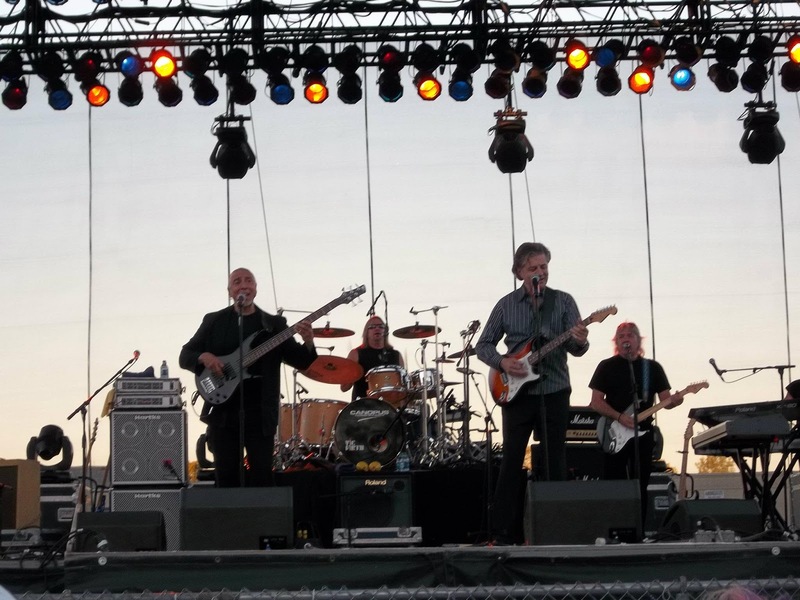 “There’s a lot of talent there, and they certainly already have a number of great credentials established.” Reinhart’s parents, who are musicians themselves, recently opened for The Buckinghams at Viper Alley, a newer entertainment venue in Lincolnshire, Illinois. 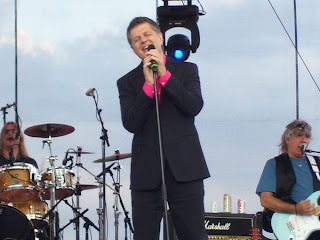 Reinhart placed third in the tenth season of American Idol. Frost, who is also an actress, portrayed a young Barbara Streisand in Streisand’s “Timeless” concert tours. I was curious to know if there were any particular causes Giammarese and band members like to contribute to, either monetarily or through their time and talents. “Children,” he simply said, going on to talk about various charities they really care about, including UCAN, Make-A-Wish Foundation, Wish Upon a Star, and Toys for Tots. “It really does break your heart to see these children, what they’ve been through, what they are going through. So we try to do whatever we can to help.” A pet owner, Giammarese also likes to work with various organizations that promote animal welfare. Bassist Nick Fortuna, Potawatomi Bingo Casino, 12/5/12. We spent a few minutes talking about memories he has of staying and performing in Milwaukee. “Milwaukee’s like a second home to us,” Giammarese said. “A great city. Many fond memories going back to the 60s, not just of Milwaukee, but the entire state.” The Buckinghams always stay in downtown Milwaukee when they’re in town, and typically do several shows a year around the state, he said. Past venues around the Milwaukee area have included Potawatomi Bingo Casino, Wisconsin State Fair, and Festa Italiana, among many others. Among the highlights you can expect from The Buckinghams in 2012: the band will be playing a concert with a symphony orchestra next fall, which is a first, and The Happy Together Tour will be back. Giammarese and Fortuna will once again be representing the band in a lineup that includes The Grass Roots, Micky Dolenz of The Monkees, Gary Puckett & The Union Gap, and The Turtles. Just how long does Carl Giammarese and his fellow Buckinghams intend to stick around on the music scene? “Until they have to build ramps to get us up on the stage. Then we might have a problem,” he said with a laugh. One day, when trying to explain to my brother-in-law about my visit to the Big E, to see The Buckinghams, the first song that came to mind was the song "Susan" because that is my sisters name. Immediately my brother-in-law knew just who I was talking about. Thanks for your comment and for visiting our blog. It was a real pleasure interviewing Carl Giammarese, and being a big Buckinghams fan myself made the interview that much more fun for me. I had the pleasure of meeting Carl Giammarese once. This man is a true gentleman. I absolutely love to hear Carl singing the songs that he had written. There are a couple of those songs that I think I had heard on the radio before. Hearing those older songs is nice, too. The guys put so much energy into each performance. Carl and Nick are awesome singers, no matter what songs they do sing. I love hearing all of the older songs, as well as the songs that Carl has written in the past. The Buckinghams are fabulous! Just stumbled upon this terrific interview from some months back about Carl's journey and the Buckinghams. Thanks for the memories. Thanks, Jim, and to all of you here, for your comments! Glad you enjoyed this interview. Like I said, being a big fan of The Buckinghams made this interview that much more fun and meaningful for me. I'm looking forward to seeing Carl Giammarese and Nick Fortuna once again representing The Buckinghams two weeks from today in the Happy Together Tour concert at Wisconsin State Fair!